The decommissioning crew at the defunct Fukushima No. 1 power plant is losing 174 members who have reached the legal limit for radiation exposure. As of January, the 174 had topped the limit of 100 millisieverts in five years spelled out under the Industrial Safety and Health Act, which also limits nuclear power plant workers to a maximum exposure rate of 50 millisieverts per year. The plant has about 14,000 registered workers, but 2,081 have already received 50 to 100 millisieverts of exposure. 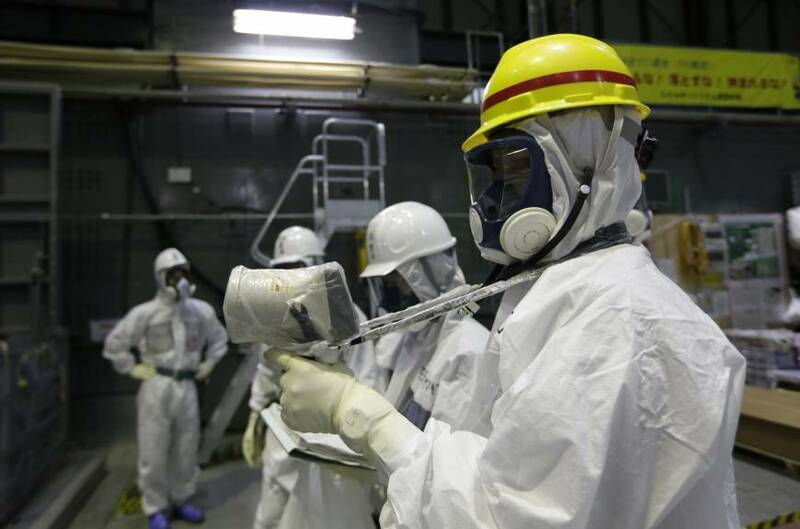 Since most of the heavy lifting in the most highly radioactive areas has yet to be done, experts say the country and Tokyo Electric Power Co., the plant’s operator, must find a way to consistently secure enough labor to finish the job. As of January, a total of 41,170 people had worked at the plant since the crisis began in March 2011, and only the 174 who reached maximum exposure had left. But many companies that send staff to the plant move them to other positions with lower exposure before they reach the legal limit. So a majority of the 2,081 workers between 50 and 100 millisieverts have already been transferred. As time passes, however, more and more are expected to test the limit. The International Commission on Radiological Protection sets the average radiation dose for nuclear workers over five years at 20 millisieverts per year. “Firms tend to transfer workers whose radiation exposure exceeds 20 millisieverts per year from their posts at the nuclear power plant,” said a 57-year-old employee at one of the companies that have managed radiation exposure at the Fukushima No. 1 and No. 2 plants for about 20 years. 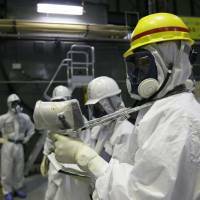 Tepco claims it is not facing a shortage at Fukushima No. 1 because its worker list averaged about 14,200 between January and December last year, or about 3,000 more than the number who actually did decommissioning work there during the same period. In response to projections that more employees will be unable to work due to radiation exposure, Tepco “will respond to the situation by reducing the level of radiation at the plant,” the utility said. Meanwhile, an official at the Agency for Natural Resources and Energy came clean on the uncertainty of the situation. “It is unclear to some extent whether it will be possible to secure enough labor until the decommissioning process is completed,” he said, adding the agency will urge Tepco to improve the working environment. Four years have passed since the triple meltdown, and radiation has declined. But the decommissioning work will only get more onerous as the number of operations around the reactors grows. In fiscal 2015, which began this month, Tepco plans to remove fuel rods from the spent-fuel pool at reactor 3, which saw its core melt just like units 1 and 2. To keep exposure down, most of the operations will be conducted remotely. But setting up the equipment means getting close will be inevitable. According to various scenarios, a long-term labor system is needed to ensure the project’s continuity 30 to 40 years down the line, when it is supposed to be finished, said Shigeaki Tsunoyama, head of the Fukushima Prefectural Government’s safety advisory group for nuclear power plants. “If experienced workers leave the plant due to their radiation exposure levels, decommissioning will stall. The government and Tepco have to take some steps as early as possible,” he said. This section, appearing every third Monday, focuses on topics and issues covered by the Fukushima Minpo, the largest newspaper in Fukushima Prefecture. The original article was published on March 26.